Even if a well-off family appears happy, under the surface there are still many reasons for its grief. 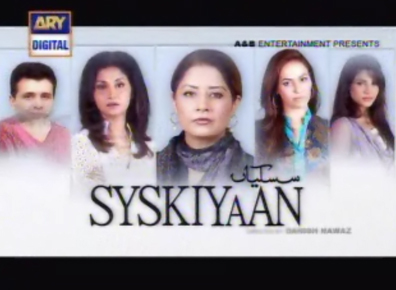 syskiyaan follows the story of five women who belong to the affluent class of our society; but despite their wealth, their lives are filled with pain and sorrow. their worries for their husbands, their families and their status are reflected in each and every climax of this masterpiece. depiction of the courage that enables them to deal with their problems and their mutual support to each other during the hardships of life makes the story different and close to the real life.